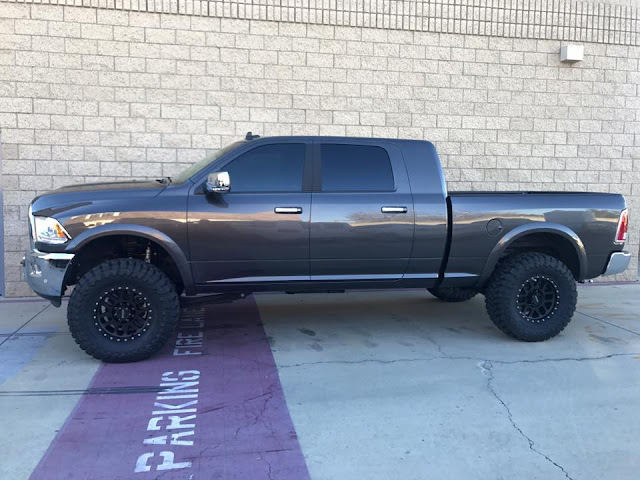 2016 Ram 2500 Mega Cab Sport featuring a Carli Commuter 2.0 system, custom powdercoated Raceline Avengers, & 37" Toyo Open Country R/T tires. Twin 2016 Carli Pintop 2500's, both riding on 20" Method NV's and Toyo 37" R/T's, with the crew cab long bed being a modified factory air ride truck. 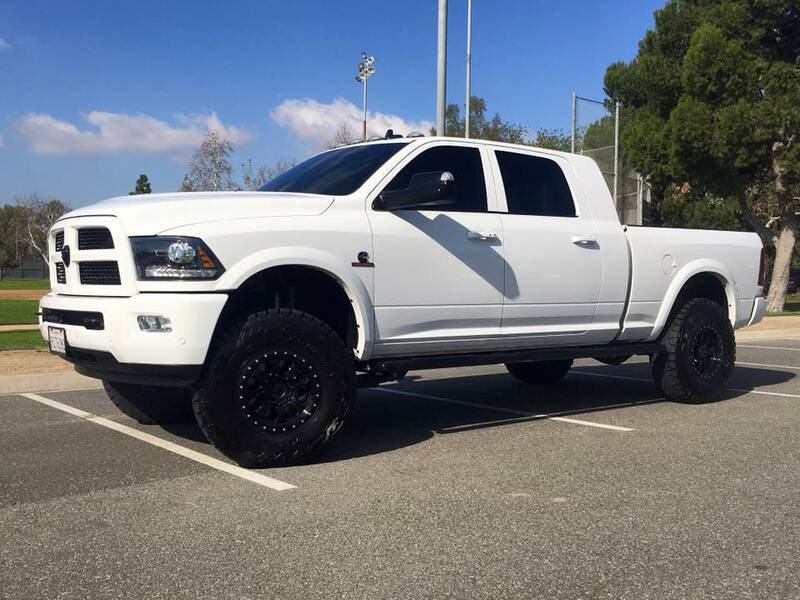 2012 Ram Mega Cab Long Bed featuring 6" Carli Dominator 3.0, 17" Method NV's, & 37" Toyo Open Country MT tires. 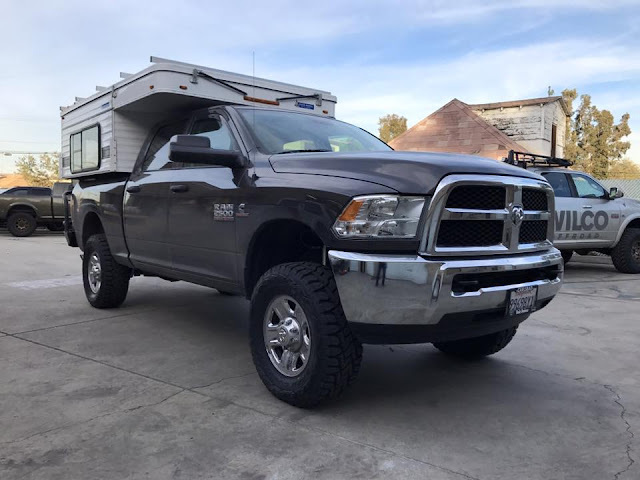 2014 Ram 2500 Cummins Diesel expedition build featuring Carli Leveling Kit & 35" Toyo Open Country R/T tires. 2017 Ram 2500 Mega Cab featuring Carli Leveling Kit, 18" Method Mesh wheels, & 37" Toyo Open Country MT tires. We really like how this one turned out! 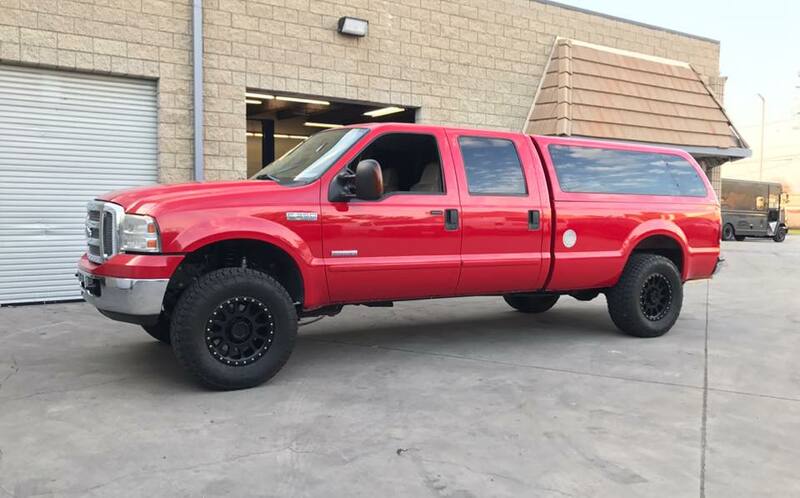 2006 Ford Super Duty that we dropped front a generic, rough riding 6" lift kit to a Carli Commuter 2.0 system with 2008 full progressive leaf springs, 18" Method NV's, & Nitto 35" Terra Grapplers. Here's another shot of our shop 2012 Ram 2500 Mega Cab featuring a Carli 6" Unchained IBP system, 20" Trail Ready Simulated Beadlocks, & 37" Toyo Open Country MT's. Check out this pair of 2015 Ram 2500's. The black Mega Cab is rocking a Carli Back Country 2.0 system, 17" Robby Gordon wheels, & 37" Toyo Open Country MT's. The white crew cab is running a Carli Pintop 2.5 Ram 2500 system, 17" Walker Evans wheels, & 37" Toyo Open Country MT tires. Ram 3500 Cummins Dually featuring a Carli Back Country 2.0 Ram 3500 system and 35" Nitto Trail Grappler MT's. 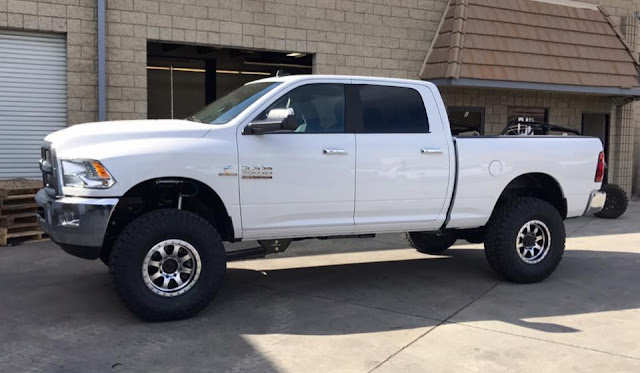 We've updated our resident Carli Leveling Kit equipped 2015 Ram 3500. It is now rocking Innov8 forged beadlock wheels all around! Here is an oldie but a goodie (this truck was built a few years back). This is Matt's 2012 Ram 2500 featuring a Carli 6" Unchained system, a Thuren Fabrication front bumper, 17" Trail Ready beadlock wheels, and 37" Toyo Open Country MT's. 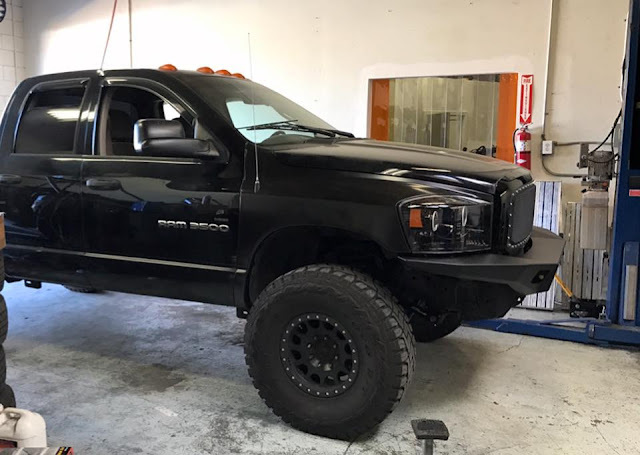 This is another one of our favorite recent customer builds. 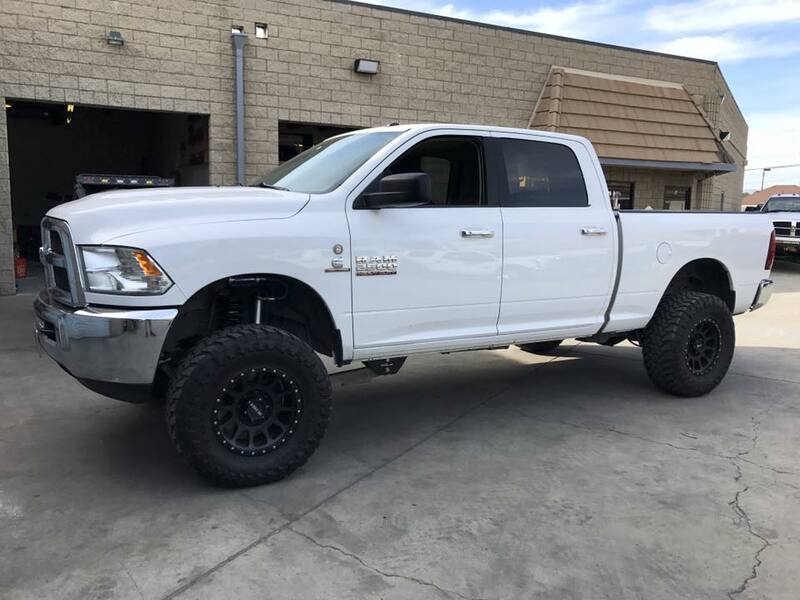 This is a brand new Ram 3500 Mega Cab sporting a Carli Pintop 2.5 system with Carli Torsion Sway Bar, 18" Method Double Standards, and 37" Toyo Open Country R/T's. 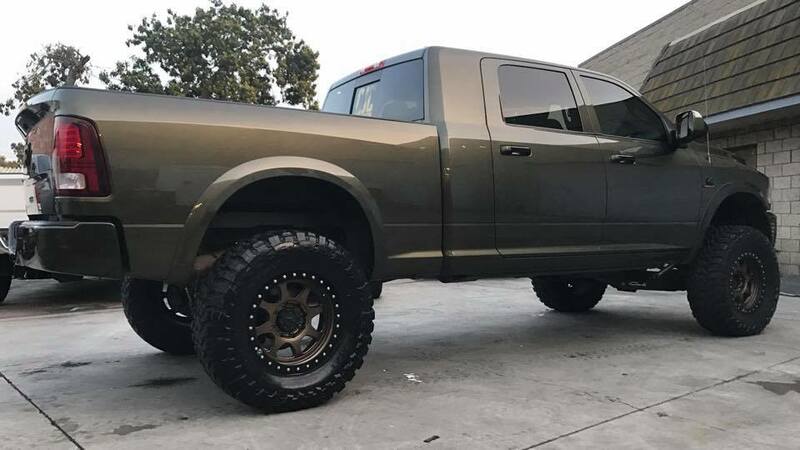 This Ram 2500 was built to be used off road in Mexico. 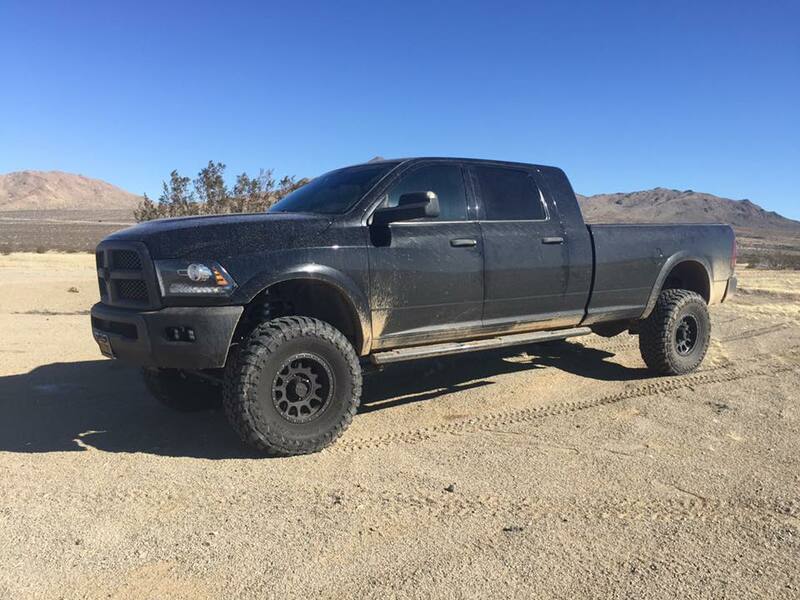 It features a Carli Pintop 2.5 Ram 2500 system, 17" Method NV's, and 35" Toyo Open Country MT's. Not only is this truck more capable off road, street ride quality is incredible. In our opinion, these Carli 2500 systems offer some of the best street ride of any heavy duty truck suspension we've installed/ridden in. 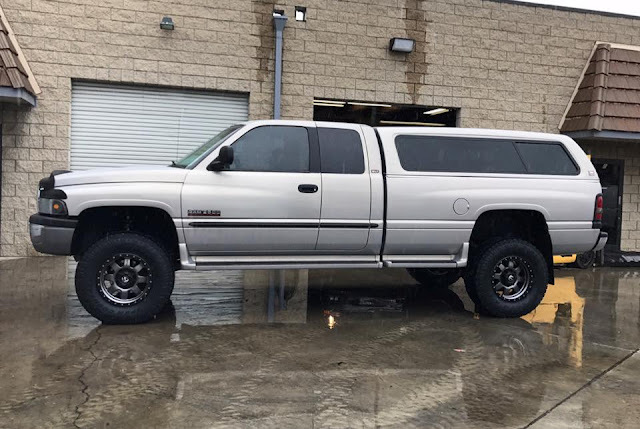 This truck has seen quite the dramatic transformation. It is a 2005 Dodge Ram 3500 that has been updated with a 2006 front clip and a Thuren Fabrication bumper and is riding on a Carli Starter system with Carli Torsion Sway Bar, 17" Method 105 deadlocks, and 37" Toyo Open Country R/T tires. 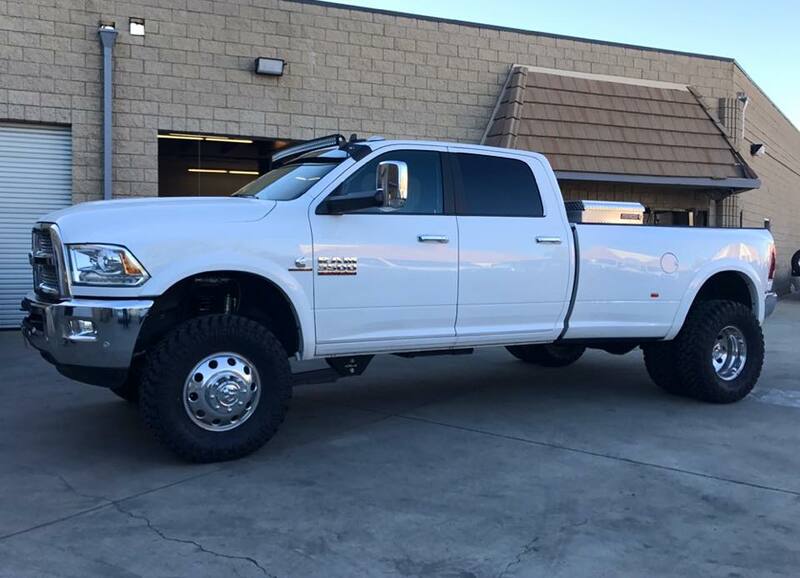 This brand new 2017 Ram 3500 is sporting a Carli Pintop 2.5 system, 17" Raceline Avengers, and 37" Nitto Ridge Grapplers. This truck looks just right and rides significantly better than stock! 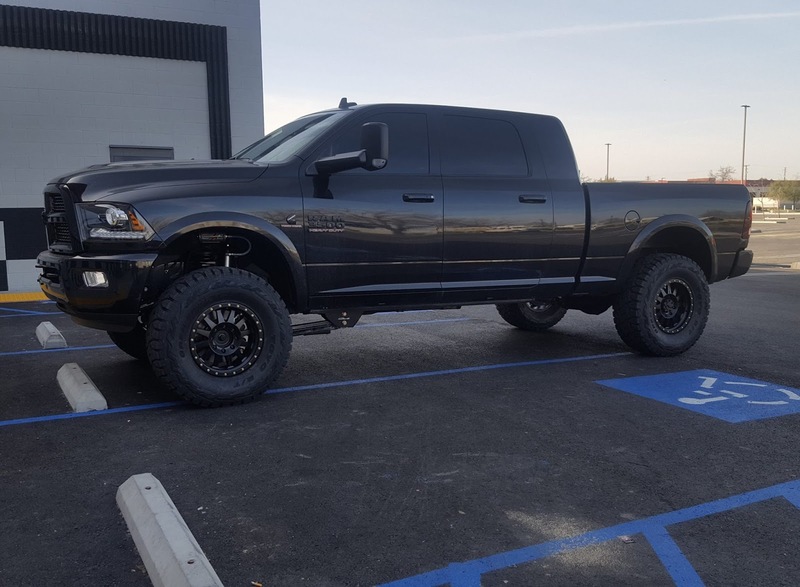 Check out Rick's 2012 Ram 2500 sporting a Carli Commuter 2.0 system, 18" Method Grid Titanium wheels, & 35" Toyo Open Country R/T tires. This truck is used for work daily and, thanks to the Carli Commuter system, rides significantly better than before. 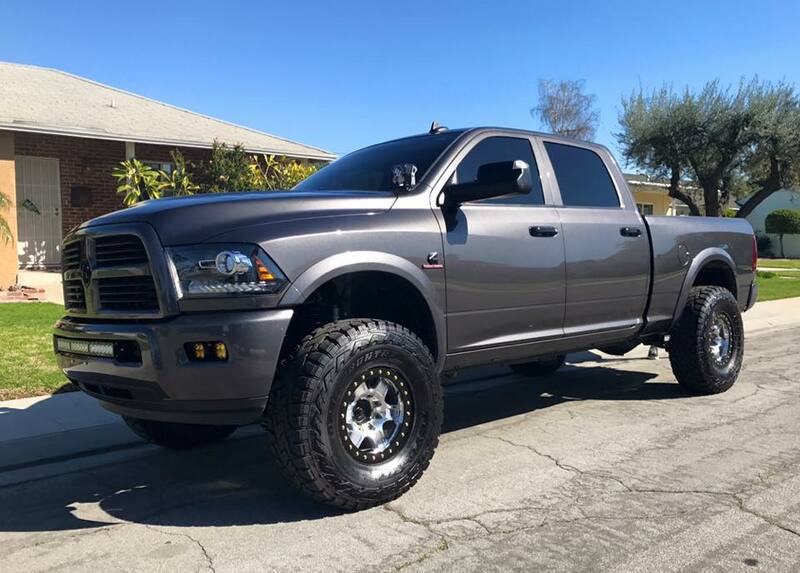 This cherry 2nd gen Ram 2500 only has only 70k original miles and is running a Carli Performance 2.0 system, 18" Fuel Trophy wheels, and 35" Toyo Open Country ATII tires. We really like how this one turned out! For more information on any of the above products, check out our site at cjcoffroad.com.